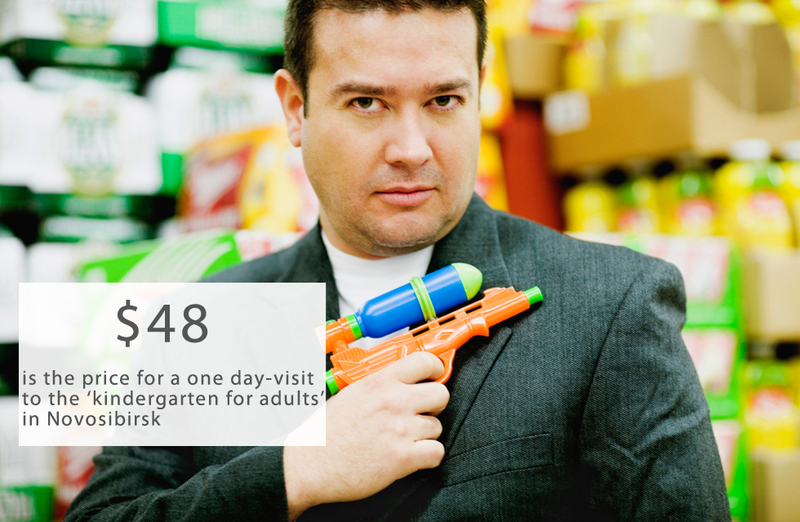 Number of the week: How much is a ticket to a ‘kindergarten for adults’? Novosibirsk programmer Yevgeny Pyatkovsky has opened a kindergarten for adults in the "capital" of Siberia, Novosibirsk (1,750 miles east of Moscow). Acoording to Pyatkovsky, the first visitors to his kindergarten, which opened on Oct. 6, were management staff from several banks. Visitors to the "adult kindergarten" are served with breakfast, lunch and afternoon tea, just as children are in real life. They also get an hour of daytime sleep, as well as classes: drawing, modeling, singing and many games. A full day in the kindergarten will cost 3,000 rubles ($48) per person. There will be 10 participants in each group and groups will be formed according to similar interests and ages.